← The Climatology of Scotland – four seasons in one day? 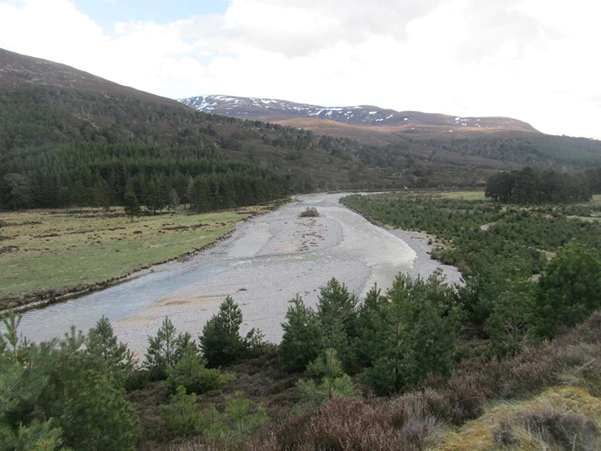 Dr. Andrew Black contributes the final piece of our two-part feature on the climatology and hydrology of Scotland. Andrew Black is Programme Director for the MSc course in Catchment Hydrology & Management at the University of Dundee. 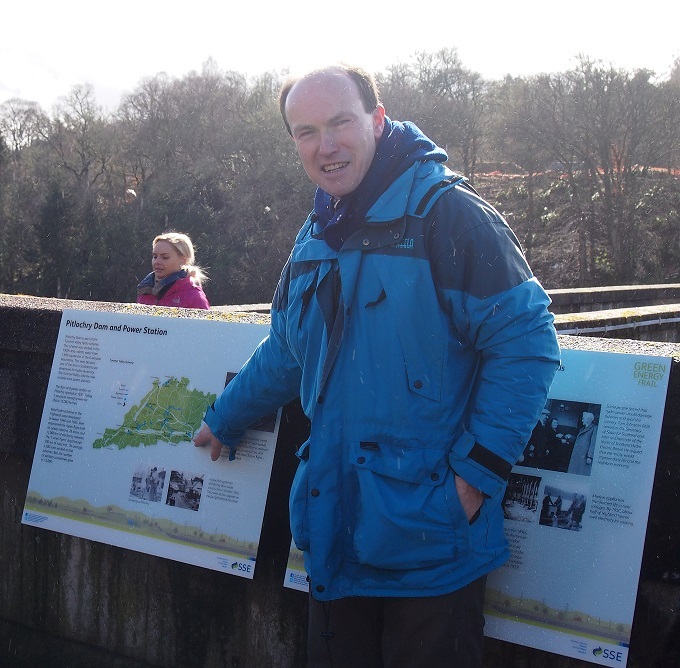 Since successfully defending his PhD at St Andrews in 1992, he was worked on a wide spectrum of hydrological projects – from flood to drought and science to management and policy – mostly on Scottish rivers. It’s rare to be invited to offer some personal perspectives on matters hydrological, but gives a useful chance to reflect. It’s almost 20 years since I was appointed to a lectureship at the University of Dundee. These days, I very much enjoy being able to relate to students how the practice of hydrology has changed over that time! A lot of my early learning in hydrology – certainly the applied aspects – was with the staff of the then River Purification Boards. Telemetry was beginning to get serious support after the Tay flood of 1990, and much more so after the larger and more damaging event of 1993. However, operational flood forecasting was rather in its infancy in Scotland. A good illustration of the state of the art from that time was the Tay flood warning system – as clearly described by Ronnie Falconer and John Anderson in their CIWEM article of 1993. 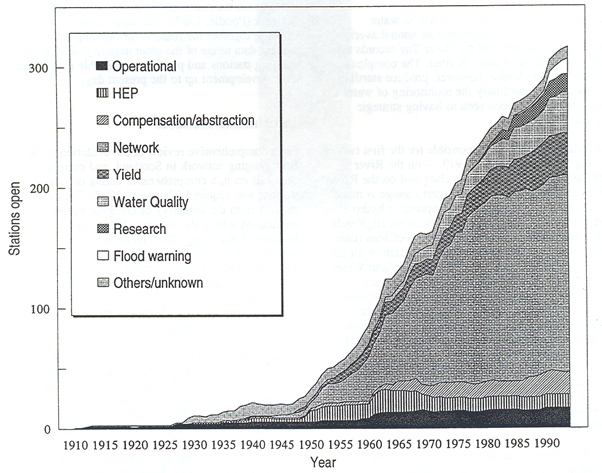 Since those early days, the real cost of hydrometric equipment has fallen steeply. I like to think that the old question of whether to model or to monitor (always really an Aunt Sally, requiring to be refuted) has been superseded by how much monitoring shall we have to support a particular project, where, and how long for. Catchment monitoring no longer belongs just at the outlet of the catchment of interest, but on the principal tributaries of the watercourse, at various levels below the surface and, of course, with precipitation gauges, suitably located. The integrated approach to monitoring fluxes of water through catchment systems allows not only enhancements in flood forecasting but a better understanding of the flood generation, and so also a targeted approach to catchment flood management. I’ve recently spent some time investigating the severe flooding arising from ex-Hurricane Bertha in the north-west of Scotland last August (Figure 1). While the worst of the localised flooding around the Ardessie Burn, south of Ullapool, seems to have escaped SEPA’s river flow monitoring network, I have been able to see data gathered by an enthusiast-run Davis weather station (Figure 2), and there are also data from the vicinity from operational run-of-river hydro schemes and from a prospective scheme (Figure 3). Figure 2 (left). Rainfall profiles for 10-11/11/2014 – data courtesy of SEPA/Phil Wild. Figure 3 (right). Rainfall (blue circle) and river level/flow sites (orange marker) close to the Ardessie Burn (yellow star). Mapping copyright/database right Edina/OS 2015. It is not unusual for hydrometric monitoring sites installed for one purpose now finding applications in others – and indeed there’s nothing new in that. I remember interviewing RPB hydrologists with a young Michael Cranston in the mid-1990s and discovering at first hand the cross-sectoral benefits arising as hydrometric data found new uses (Figure 4). It’s extraordinary to note the tiny reference to flood warning (forecasting) emerging on the graph in the early 1990s, compared with the hundreds of sites now used for that purpose today. We have much the same experience operating the Glen Feshie monitoring equipment from Dundee. While the original intention was to study the effect of scale on hydrological processes in a nested monitoring structure, we now find that there are unforeseen applications of the data we have been gathering. With landscape-scale rejuvenation of woodland now taking place at a startling rate and density (Figure 5), a network of 20 rain gauges/weather stations plus various water level and flow gauging stations offer the potential to detect for the first time in Scotland the effects of extensive reforestation on water balance and flood response. Looking ahead, I’m sure we can be confident that the diversity of drivers of change in hydrological systems – climate, land management, water management – will continue to be rivalled by a continuation in the evolution of applications for hydrological data. For an academic, Scotland provides a fascinating wealth of contrasting hydrological systems to study. For practitioners, that diversity often represents a challenge in terms of estimating hydrological parameters – and for which a knowledge of available hydrological data is essential. This entry was posted in Flood, Hydrology, Hydrometry, Partnerships. Bookmark the permalink.